A real estate bubble refers to a run-up in home prices, sometimes caused by speculation and a mix of market factors. A bubble tends to start with the combination of rising demand and a growing limited supply. Speculators help drive up prices, thinking they can make short term profits. At some point, however, demand diminishes while supply increases, causing the bubble to burst. The following tips on how to spot a real estate bubble can help you when considering real estate investment decisions in your market. Visit local real estate websites to research “comparable” local market data. You should also survey your local real estate market experts to get feedback on what state the market is currently in. It’s a good idea to get various opinions since some real estate experts may have an interest in painting an optimistic view of the market to investors. 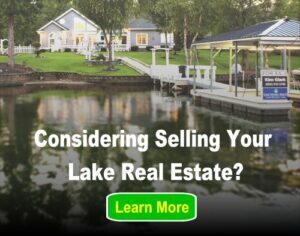 Check the real estate section of your local online news source for additional expert opinions. You can analyze historical sales and pricing data on local real estate websites. Getting some historical perspective within the past 1-3 years on the real estate market will provide a clearer picture of how steadily prices have moved up in the past. One clue that the market may be in a bubble is the rate at which prices are moving up. If prices seem to move too far too quickly, there’s a chance that prices are inflated and are primed for a pull-back. Consider the overall global, national, state and local economies. If your market in general is outperforming other markets then it could indicate the presence of the boom end of the cycle rather than a real estate bubble. The key economic indicators are unemployment, median average salary and cost of living. Rising home prices in areas of high unemployment and rising cost of living may be an indicator that the market is being driven by investors rather than owner-occupied buyers. It’s also helpful to study the price-to-income ratio in the market, which compares home prices with income in the region. When the ratio becomes high, such as 8 to 1, it means home prices are out of reach for the market. Another indicator that your real estate market is in a bubble is if the cost of paying a mortgage is much higher than renting a home. A lot can be learned about real estate from the real estate bubble of the late 2000’s. Legislation and mortgage companies made lending to first time home buyers easy, which opened the floodgates to many new buyers, who bought homes with low variable interest rates only to be devastated by rising interest rates down the road. Since the housing crash, lending laws have tightened and it’s not as easy for speculators to buy homes, as they must meet strict income levels. One of the main problems with the housing bubble of the 2000’s was that it coincided with jobs in the U.S. being replaced by lower paid outsourced jobs overseas. In markets that relied heavily on one industry, such as Detroit or Las Vegas, many people lost their jobs as the economy slowed down, losing their homes as housing prices plunged. Several markets have recovered since the housing crash of 2007 through 2009, although home prices generally remain lower in 2014 than levels prior to the crash. In the cases in which prices are at an all time high, it’s a signal to exercise caution. One of the main indicators of the real estate industry is the progress of median home prices year over year. By what percentage are prices up from the previous year and where are prices in relation to the all time high? Double digit growth can indicate a speculative bubble. Despite the fact that banks have still kept some foreclosure properties off the market, it appears now that home prices have begun to stabilize. Cash buyers have improved median home prices across the country by focusing on higher priced homes. Home lenders are now much more focused on the most credit worthy clients, according to the Mortgage Bankers Association with credit becoming more difficult to access for those with bad credit. Indicators that a real economic boom is underway occur when thousands of new jobs come to town, home builders build new homes and home inventory remains low. Over-expansion of new homes, however, can depress home prices. As more money flows in the market, home prices naturally rise. Booms make much safer investment cycles than bubbles, which can collapse at any time. If the overall local economy appears to be healthy then it’s probably a safe time to invest.